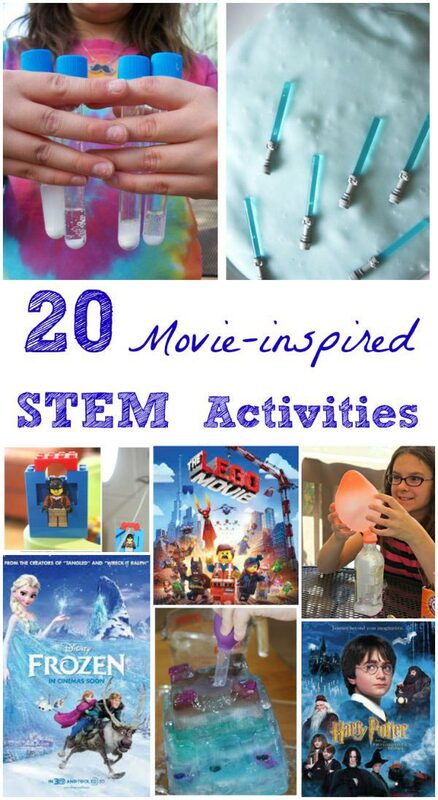 These STEM activities & science experiments paired with favorite kids movies are a great way to learn! I know a lot of families (including ours!) enjoy seeing some of the new kids movies that come to theaters or sharing old favorites. 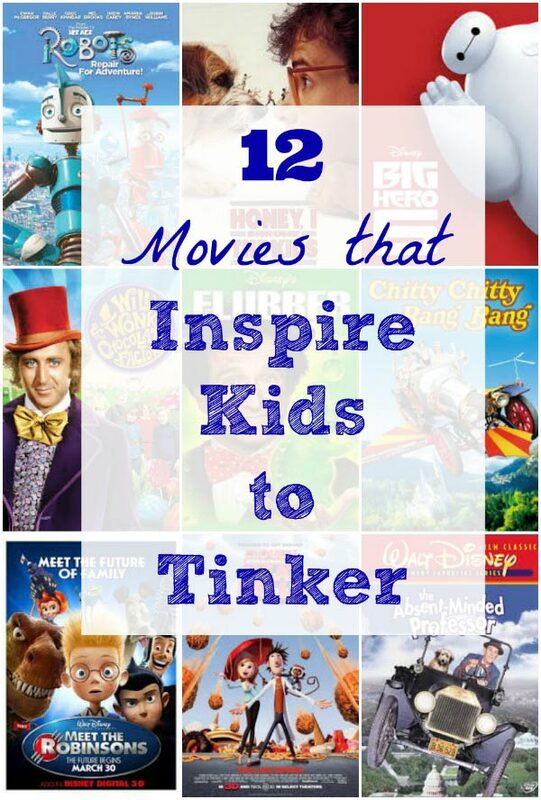 Has your family seen any of these 12 Inspiring Kids Movies about Inventions? And family movie nights are a perfect time to watch some of the classic films we may have missed seeing at the theater during the busy school year. Movies can be very inspirational for kids as they watch creative ideas come to life on the big screen -- which makes it a great way to entice them to do a little science, math & engineering too. Today we're sharing a list of favorite kids movies along with STEM-related activities & projects that will keep those minds buzzing! Whether you're a family with movie nights or an educator looking for ideas for your students, you'll LOVE some of these creative, out-of-the-box activities that get kids thinking, exploring and having fun with science, technology & engineering! We're including affiliate links to each of the movies & a few of our favorite STEM items along with links to all the excellent projects! We really enjoyed the science & technology ideas in Big Hero 6 -- so many creative and 'futuristic' items that will peak the kids' interest to experiment! The cross-over between magic and science really comes to life in many of the Harry Potter films (the early ones are best for younger kids). Set up an Outdoor Science Lab and experiment like Harry Potter & friends do in Potions class! Blow up a Balloon & Blow out a Candle with this 'magic' trick! And the Scientific Explorer Magic Science for Wizards Only Kit is sure to be a hit too! It's not just all fun & games with The LEGO Movie -- there's quite a bit of science & engineering in all that building! Honestly, any type of LEGO Kit is awesome for engineering and a great item to pair with the movie! If you can get the kids to stop singing the songs from Disney's Frozen long enough to try a few of these cold science activities, they'll enjoy exploring the idea of 'frozen' fun! This Disney movie will inspire LOTS of science experiments & STEM activities for young children! The key line in the movie -- "May the Force Be with You" -- screams science & physics! But there's also so many other ways to learn with the Star Wars movies! Create the Star Wars Galaxy with this fun math activity! Explore levitation like a Jedi with this Star Wars Science kit. And kids will also enjoy the Star Wars Science Lightsaber Crystal Lab too! And yet even more Disney themed science & STEM activities! Since Wreck It Ralph was more of a computer/tech movie, you can look for some great coding activities kids will enjoy! The Code Master Programming Logic Coding Game is also a great way to introduce computer programming concepts to kids!